As it is well known, silver jewelry is divide into many sorts, such as s999, s925 s990, and silver plating. Almost jeulia jewelry is sterling silver jewelry. 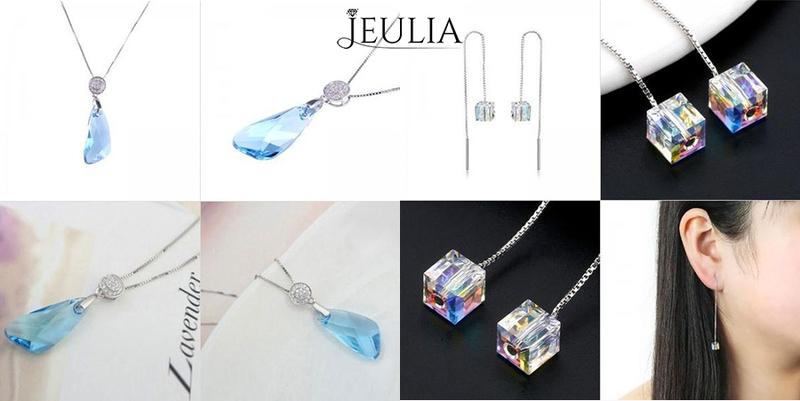 In this part, jeuliablog will introduce the difference among them for you. Please keep them in your mind. This sort could be called sterling silver, and the content of silver is up to 99.9%, approaching 100%. Compared with other sorts, this kind is the best. Its silver content is 99%, and it belongs to top grade among all. In general, only special precious jewelry is made from s999 or s990 because of its unstable feature and easily oxidized. As above, we can know that this one owns 92.5% silver content, others are alloy. Moreover, we mainly pay attention to style and design, not silver content. So S925 is recognized by international and used to silver jewelry. Silver plating means that the silver just is plated on other metal, such as the alloy. To some extent, it should not belong to silver jewelry. Compared with above, this one is cheap because of the lower cost. For the lower content of silver, it easily causes Anaphylaxis. so it is serious to select the jewelry if you have an allergic constitution.